It’s only mid-September, but you can already hear the oompah bands playing in the distance. Oktoberfest, a traditional German bender, is a big deal around here. And despite the name, it starts this week. Whether you want to chug traditional lager from an enormous stein, stuff yourself with schnitzel or take a nice, leisurely bike ride through Deutschtown, there’s plenty happening for drinkers (and non-drinkers) of all nationalities in this bier-loving city! Here’s your guide. If you can’t make it to Deutschland for Oktoberfest, head over to Lorelei in East Liberty. 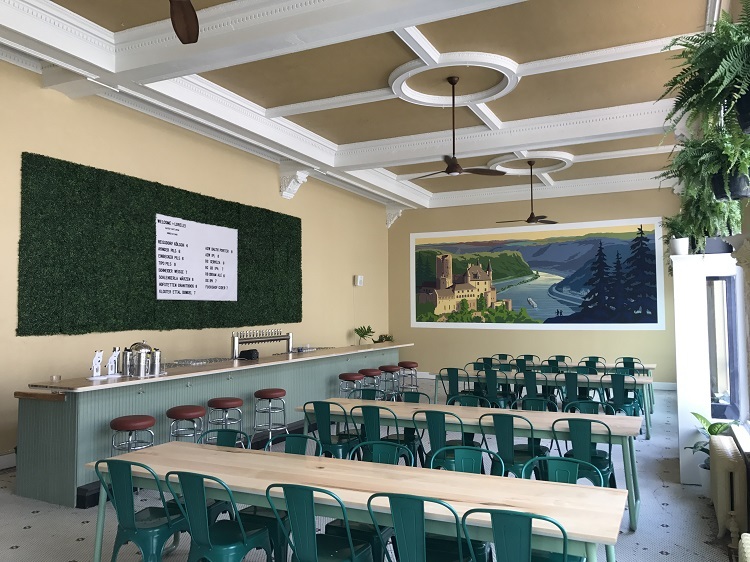 Now through Sept. 29, the new beer hall and cocktail bar will be pouring some of the best German Märzens and festbiers complemented by a Bavarian menu made by chef Jamilka Borges. Thanks to a large mural of the Rhine River on the beer hall wall, you might get the urge to stand up and Schuhplattler. Lorelei is like a little slice of Bavaria in Pittsburgh. The granddaddy of Pittsburgh’s microbreweries started pumping out their flagship German pilsner way back in 1986. So they know how to do Oktoberfest right. The annual celebration will be held over two weekends — Sept. 21-23 and 28-30 — and will feature traditional Bavarian music, food and bier, including Oktoberfest, Pilsner, Gold, Dark, Weizen, Kaiser Pils, IPA, Tangerine Swirl, Pumpkin Roll Ale, Cheater Juice New England IPA and a few small-batch brews. The biergarten is a kindergarten during the day, open to all ages. After 8 p.m., children must say ‘Auf Wiedersehen!’ and make room for guests 21 and over. Need something a little stronger than beer to get you into lederhosen? Try “O’Zapst Is,” a Scotch-like spirit made by directly distilling Penn Brewery’s Munich-style lager, Oktoberfest. Roughly translated from the Bavarian dialect, “O’Zapst Is” means “it’s tapped.” But don’t worry. You’ll be too busy savoring the drink’s cherry, vanilla and oak notes to speak German or English. The liquid makes its debut on Sept. 21 at 5 p.m., with a follow-up celebration on Sept. 28 at 5 p.m. One of Wigle’s expert distillers will be on hand for a presentation about the process and there will be live music and food from Franktuary and Axel’s Pretzels. Wigle Whiskey’s “O’Zapst Is” distills German lager into a “Scotch-like” spirit. 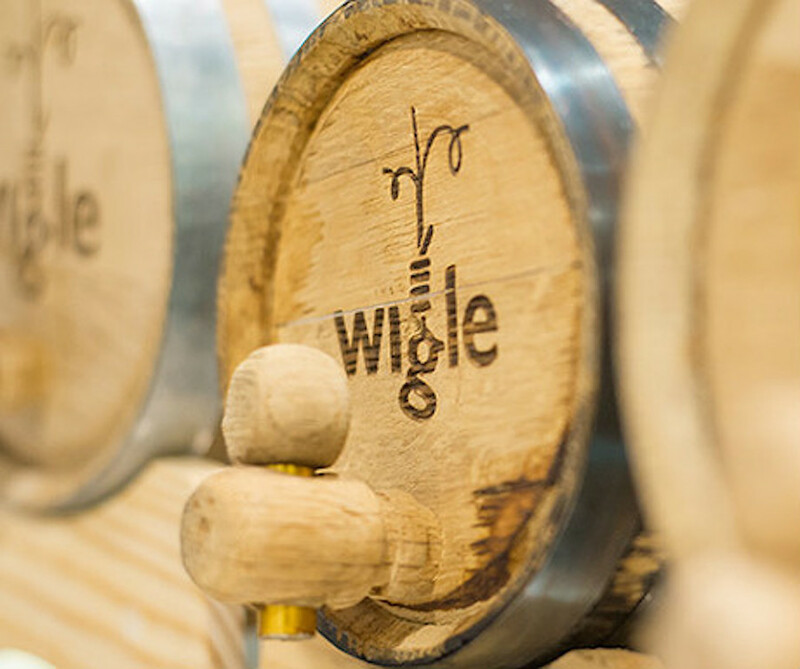 Wigle cask photo by Brian Cohen. From Sept. 22 through Oct. 7, City Works invites beer lovers to enjoy a brew-infused menu featuring herb spaetzle with hefeweizen Mornay, braised pork belly, caramelized onions and brown butter breadcrumbs; chicken schnitzel with fried egg, Pilsner Düsseldorf aioli and hefeweizen braised slaw on a kaiser roll; and Frikadeller featuring Weiss sausage patties, German potato dumplings, thyme brown butter crumb and mushroom wine sauce on pretzel rolls. If your biceps match your cast-iron stomach, participate in the stein-hoisting competition on Sept. 27 at 7 p.m. Competitors must hold a full, one-liter beer stein out in front of their bodies with a straight arm parallel to the ground. A $100 gift card will be awarded to the best male and female hoister. 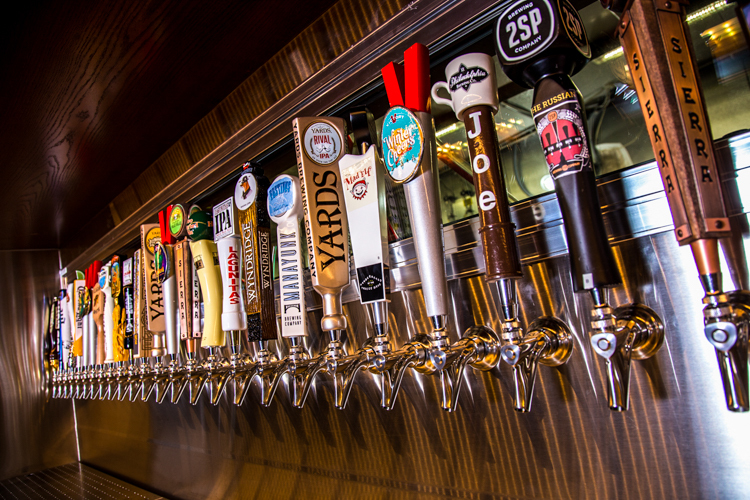 City Works Eatery & Pour House. Photo by Bottleneck Management. Work off that Oktoberfest beer belly while you drink. OktoberQuest is a bicycle tour of the North Side with brewery stops along the way. Spend Sept. 29 two-wheeling to Allegheny City Brewing, Bier’s Pub & War Streets Brewery, Penn Brewery, Spring Hill Brewing and Threadbare Cider House and Meadery. Each $25 ticket includes a T-shirt, plastic beer mug and two samples from each participating brewery. Don’t forget to wear a helmet, Helmut. 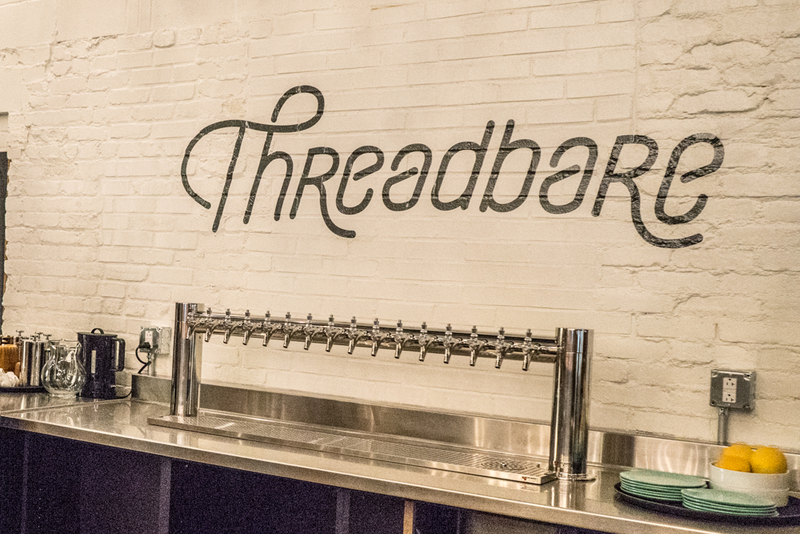 Threadbare is among the taprooms participating in OktoberQuest. Photo courtesy of Threadbare. 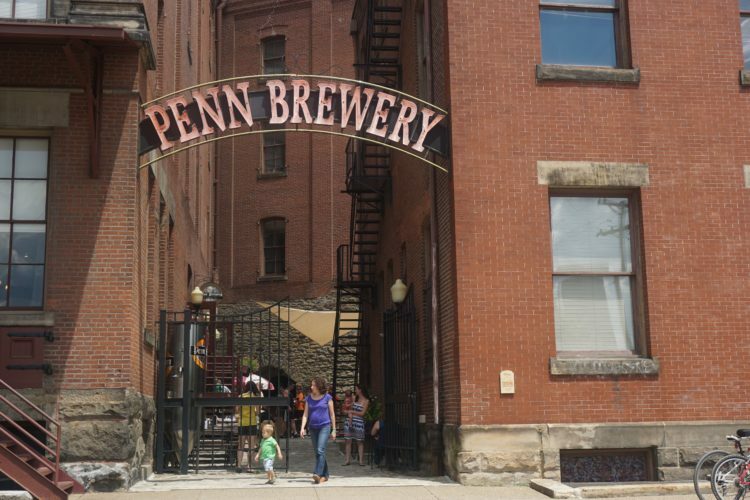 The post 8 great places to raise a glass for Oktoberfest in Pittsburgh, starting now appeared first on NEXTpittsburgh.